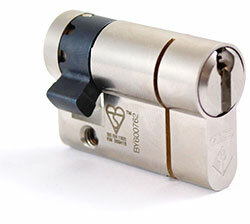 This ABUS Pfaffenhain half euro cylinder has been awarded the British Standard kitemark for its compliance with modern security standards. 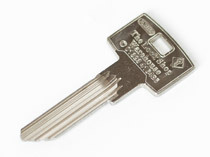 This is our highest security and most recommended half cylinder, and comes fitted with a restricted key section. The cylinder is predominately used on garage doors and other access points where the lock can only be reached from one side. The ABUS Pfaffenhain range utilises a 6-pin cylinder to give another layer of protection over the more standard 5 pin models. The available sizes are displayed within the dimensions chart below which also shows the distance from the edge of the lock to the centre of the cam. When ordering we ask you just to provide the overall length of the cylinder (length A in the chart).